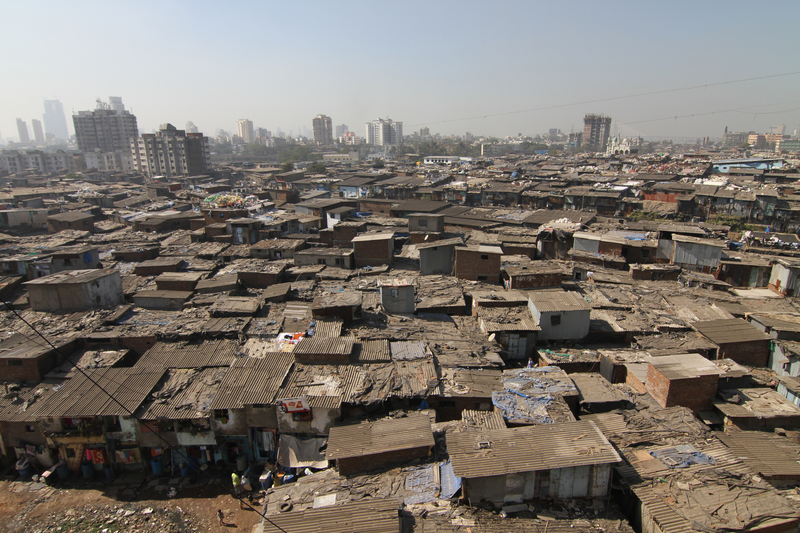 Dharavi slum in Mumbai, India. Photo courtesy of Swiss Dots Ltd.
Urbanized, a film exploring urban design in more than 40 cities, will premiere at the 2011 Toronto International Film Festival tomorrow night, Friday, September 9, 2011. 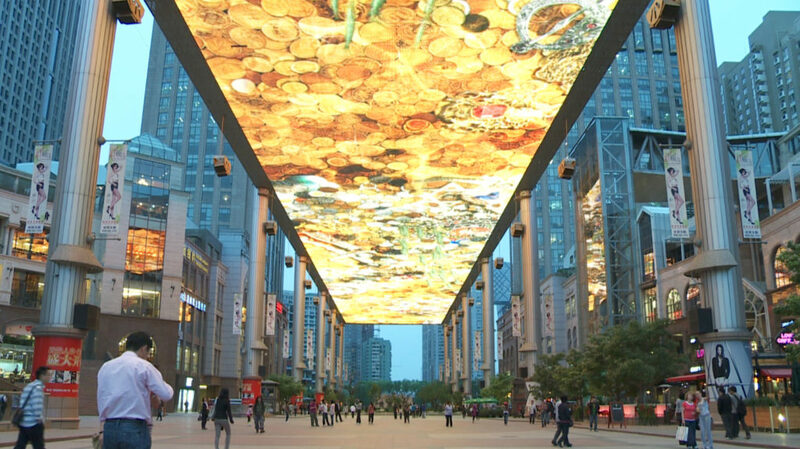 Urbanized is the final documentary in Gary Hustwit’s trilogy of design films. Hustwit’s previous films, Helvetica and Objectified, looked at type design and industrial design, respectively. In anticipation of the world premiere of Urbanized, we spoke with Gary Hustwit to learn more about the topics he will uncover in his upcoming film. Can you give us a short introduction to Urbanized? It’s about the design of cities. It’s about who shapes our cities, how they do it and how the design of our cities affects our lives. Basically, the film looks at different projects and different issues affecting cities in countries all over the world, and it starts a discussion around those universal issues that affect every city. The film also looks at a handful of people doing interesting projects and the creativity and philosophy behind it. Obviously, you can’t do a comprehensive film about the design of cities because it’s just too big and there’s just too much happening and it’s constantly evolving. So it’s really just a snapshot of a tiny percentage of the kind of work and thinking that’s going on around the world. What did you notice in particular about transportation while researching urban design? We looked at the bus rapid transit system in Bogota and range of transportation projects, and how automobiles have affected the design of cities. We looked at a high speed rail project that’s probably one of the wrong ways to go about high speed rail projects, which is the Stuttgart 21 project in Germany. So, we see transportation from both sides: what I think are the mistakes that were made and how the government approached it, and how the railway approached it. There is a pretty wide range. Housing, public space, mobility, citizen engagement—all of those things are on the table and part of the discussion. The film is really that: a conversation. We filmed in 40 different cities all over the world in the past two and a half years. It’s a portrait of city life and urban design right now. An interesting element in your previous work was the juxtaposition between classically trained and self-taught professionals. How does that work with cities? We are all self-taught professionals. It’s a much wider spectrum than the other two films. For one thing, there are many more “ordinary citizens” that participate in changing cities. Politicians, policy makers, developers are people that I wouldn’t classify as design professionals but who have a huge impact. In a way, we’re all experts on cities in some form. We all know a lot about at least one city, or we’ve at least spent some time in a big city. Everybody has some level of knowledge of what they think works or doesn’t, or, they like a certain city or they don’t like a certain city. There is a lot more citizen involvement in this film than any of the past films. In Helvetica or Objectified, we didn’t really talk to the users, but in Urbanized, it’s all about the users because they’re really the ones who ultimately make a city work or not work depending on how they live. Are there any urban design elements that are popular across cities? The generic retail developments seem to look the same in a lot of different cities. And in almost every city, especially in developing countries, automobile traffic is just ridiculous. In Mumbai or Sao Paolo, or any of these other cities, it’s just crippling. That’s probably one of the bigger challenges. Every city we went to had some form of informal area and some obviously bigger than others. How cities deal with that informality is definitely universal, and some do it better than others. 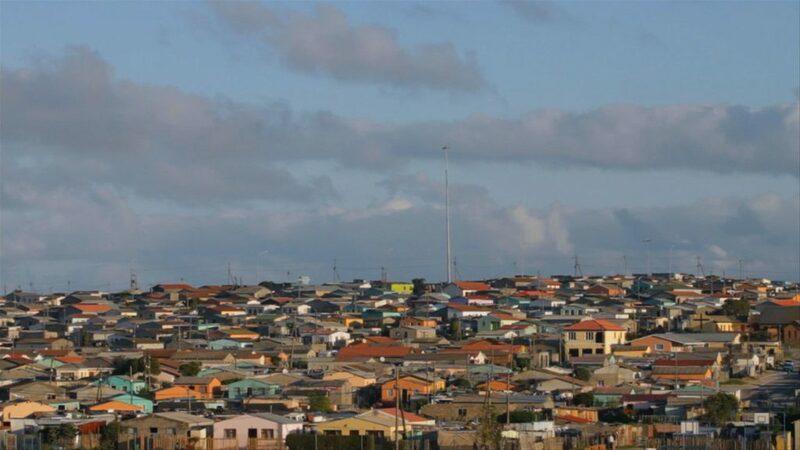 Khayelitsha, the VPUU program outside of Capetown, and Alejandro Aravena’s work in Santiago, Chile are examples of what I think is a better way to deal with informal conditions. Kayelitsha township. Photo courtesy of Swiss Dots Ltd.
What’s common about design in general? Did you notice any common themes among your three films? Really obsessive people. You got to have a level of obsession with the challenge and that ability to try to look at a situation differently and not just accept the things the way they are. That is one common thread for designers across all spectrums. It’s that idea of incremental improvements or incremental refinements or adjusting to evolving conditions. Is there a core message you hope to reveal in the film? There is no core message in any of my films. They are explorations into subjects I’m interested in and, in a sense, the audience gets to follow along in that exploration. If there is any take away from Urbanized, it’s that citizens need to be more involved in the shaping of the city otherwise other people are going to do it for them and not particularly to their liking. You’ve interviewed some of the leading thinkers on urban design. What are some of the most memorable lessons they shared with you? I’m not an architect, I’m not a designer, I’m not an urban planner, I’m not a policy maker, so I was learning something from every person I spoke to. In a way, over the two and a half years that it took to make the film, with each interview I learned a little bit more, which informed the next interview and shaped the direction of the film. I’m not going in there with an agenda or a thesis or anything like that. The film is dictated by what the subjects want to talk about, and then we craft the narrative of the film through those conversations. Anything else you would like to tell us about Urbanized or your work in general? It’s been a really interesting six years of doing the three films. I guess we didn’t start out to make a trilogy of design films, but there was so much to talk about, so much innovative thinking going on and creativity behind the scenes. Most of us take that for granted. This could be the width of a sidewalk or the font somebody chose for an advertisement. Those are the things I’m interested in and hopefully other people are interested in them, too. Beijing, China. Photo courtesy of Swiss Dots Ltd.